Day 11. This is Mom Ali. Ali is short for Alison. We called her Ali because she looks like she has owl eyes. 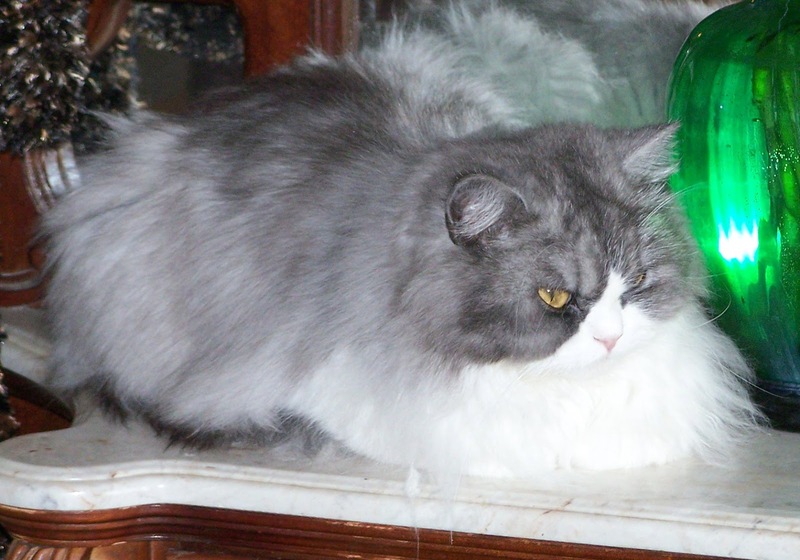 Persians are bred for the large round eyed look. Ali and Ricky are both what people call a doll face. A good doll face Persian does not look anything like a American short haired cat. As you can see from the parents pictures. They have a large head, round eyes, small ears. All of their features are broad and round. It is to bad that CFA does not allow people to show the traditional doll faced persians as they are truly beautiful. 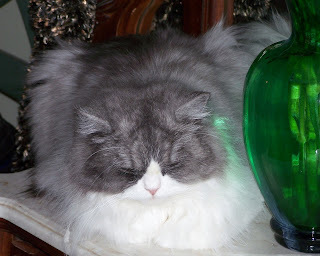 The doll faced Persian avoids the breathing and other issues that come with a pug nosed Persian and is unique in their own way.